Germany’s decision to approve the ongoing use of a controversial weed-killer in Europe is threatening to upset talks on forming a new coalition government. 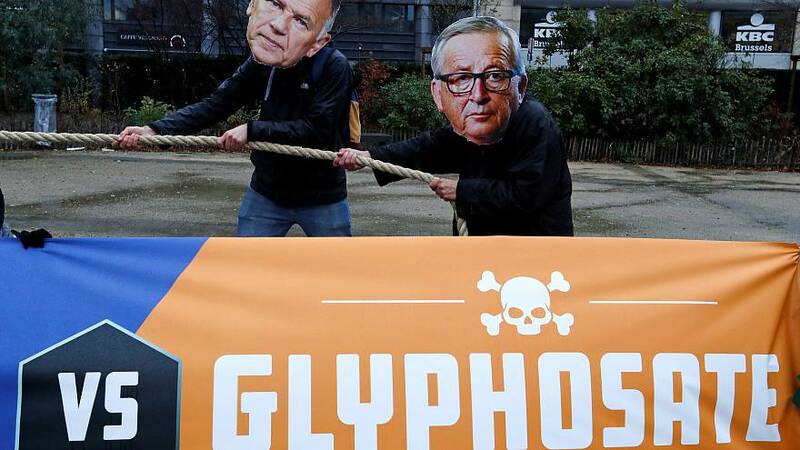 The centre-left Social Democrats (SPD) has been infuriated by Berlin’s approval of a move to continue allowing glyphosate to be used in the European Union for another five years. Germany was one of 18 EU member states which voted on Monday in favour of renewing the weed-killer’s licence, despite fears that it could cause cancer. It is best known for its use in the Monsanto product Roundup. Chancellor Angela Merkel is expected to begin discussions this week with the SPD on renewing their “grand coalition” after efforts to form an alliance with the Free Democrats and the Greens broke down. The SPD controls the Environment Ministry as junior partners to Merkel’s conservatives in the caretaker government. Environment Minister Barbara Hendricks said she had made it clear before the vote that she was opposed to extending the use of glyphosate. The party accuses the Agriculture Minister Christian Schmidt of the Christian Social Union (CSU) – the Bavaria-based sister party of Merkel’s Christian Democrats – of acting unilaterally to approve it. He has defended his decision which he says he took “on my own”, claiming that the European Commission would have probably decided on a longer extension if the vote had been indecisive. Usually the German Agriculture and Environment Ministries agree on a joint position before such EU votes. The disharmony highlights the vacuum in government, more than two months after national elections failed to return a majority. The row over glyphosate has also exposed divisions with France, whose president had wanted a rapid phasing out of the product which is widely used by farmers across the continent. After the vote, Emmanuel Macron took to Twitter to say he would take all measures necessary to ensure the weed-killer was banned within three years at the most. Despite the five-year extension, EU rules allow France to ban the substance unilaterally. It intends to do so for private individuals in 2019. Diplomats said Germany swung the vote, coming off the fence after abstaining in previous meetings. The licence renewal was backed by the narrowest possible margin under rules requiring more than a simple majority. “Today’s vote shows that when we all want and put effort in it, we are able to accept and to share our collective responsibility in decision making,” European Commissioner for Health Vytenis Andriukaitis said in a tweet. The move sparked anger among environmental groups. “The people who are supposed to protect us from dangerous pesticides have failed to do their jobs and betrayed the trust Europeans place in them,” Greenpeace said afterwards. The French journalist Marie-Monique Robin, who has written books on Monsanto and its product Roundup, described the vote on Twitter as “scandalous” and a “reprieve” pulled off by the chemicals giants. Her documentary aired on French television carried extensive interviews with cancer sufferers in Latin America and drew a strong link with the weed-killer. “The European Commission wipes away with the wave of a hand the principle of precaution and health, as well as the voices of millions of citizens who no longer want the most controversial herbicide on the planet,”, said a joint communiqué by the campaign groups Future Generations, Foodwatch and the French League against Cancer. Farmers have used glyphosate for more than 40 years, but its safety was cast into doubt when a study by the International Agency for Research on Cancer (IARC) – an agency of the World Health Organisation – concluded in 2015 that it probably causes cancer. Protest groups have cited the report extensively, have questioned the science in other studies, and complained about the influence of big business. However, an investigation by Reuters published last month suggested an earlier draft report by the cancer agency had included references to scientific studies saying no link had been found between glyphosate and cancer in laboratory animals, but that these conclusions had been “edited out”. Campaigners have accused Monsanto of ghostwriting research papers for regulators, lobbying to block a US government review of glyphosate, and forming groups to discredit critics. The European Chemicals Agency said in March this year that there was no evidence linking glyphosate to cancer in humans. Farmers’ representatives have given the EU decision a qualified welcome. Farmers association Copa-Cogeca regretted the licence had not been renewed for 15 years. The British National Farmers Union (NFU) said the decision was “testament to the hard work of British farmers” in lobbying MEPs over glyphosate’s “safety and benefits”, while also lamenting the five-year rather than 15-year renewal. “What should have been a straightforward decision has become increasingly political. The NFU has repeatedly said that decisions like this must be based on science and evidence. This clearly hasn’t happened in this case,” NFU Vice President Guy Smith said in a statement. Bulgaria, Poland and Romania all joined Germany in coming off the fence to back the five-year extension, leaving Portugal as the only country to abstain. The debate over glyphosate is set to be renewed in two years’ time, when the European Food Safety Authority (Efsa) is due to deliver a new safety assessment.